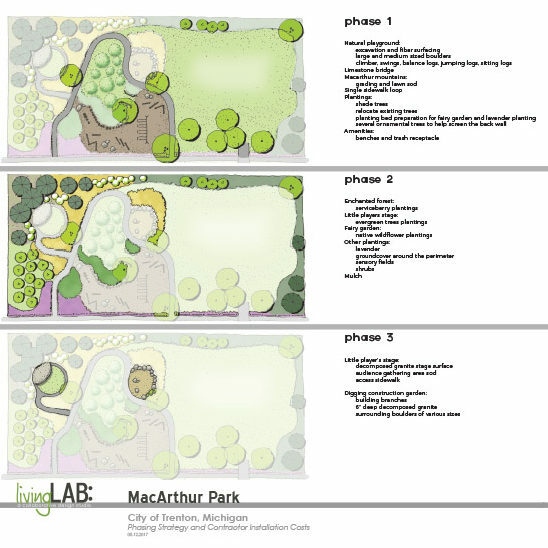 The Trenton neighborhood around MacArthur Park has rallied around its improvement. Many moved to the area because of the park and watched their children grow up playing there. They want the same opportunities for their grandchildren. Overtime, the play equipment deteriorated and was removed for safety. 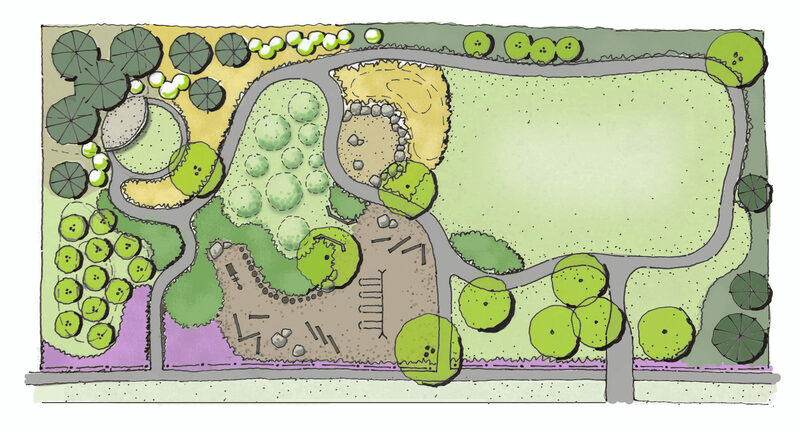 The City and neighborhood are now working together to envision what the park could be. 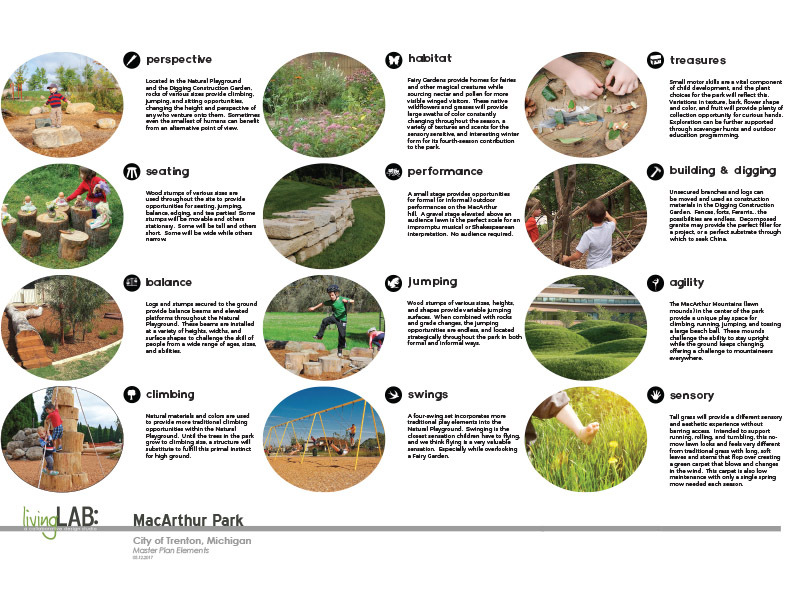 With a focus on nature-based play, livingLAB worked with the neighborhood to design a master plan that the city can use to build interest in and funding for the project and guide acquisition and donation of materials to phase in implementation.